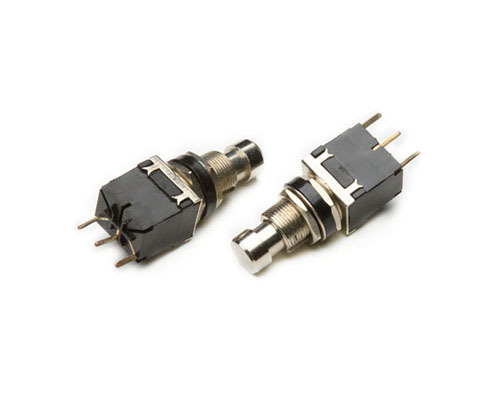 Button Switch Push Button Switch refers to the use of buttons to push the transmission mechanism,Led Push Button Switch so that the static contact and the dynamic contact press on or off and realize circuit switching on and off. The button switch is a main Automotive Push Button Switch electric appliance with simple structure and wide application. In the electric automatic control circuit, it is used for manually sending out control signals to control contactors, Push Button Switch relays, Tact Push Button Switch electromagnetic starters, etc. Looking for ideal Plate Micro Switch Manufacturer & supplier ? We have a wide selection at great prices to help you get creative. All the Tact Push Button Switch are quality guaranteed. We are China Origin Factory of Self-locking Straight Key Push Switch. If you have any question, please feel free to contact us.